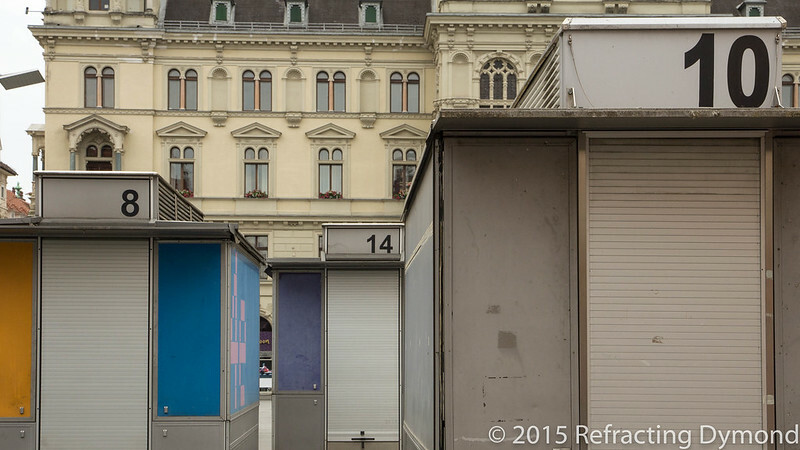 I took this picture while wandering around Graz, Austria in the morning. The market wasn’t fully opened and it was interesting to see the closed stands. This angle intrigued me, with the numbers standing out. I also liked the clear contrast of shabby, modern stands juxtaposed against the classical facade of the city hall (at least I think it was city hall). 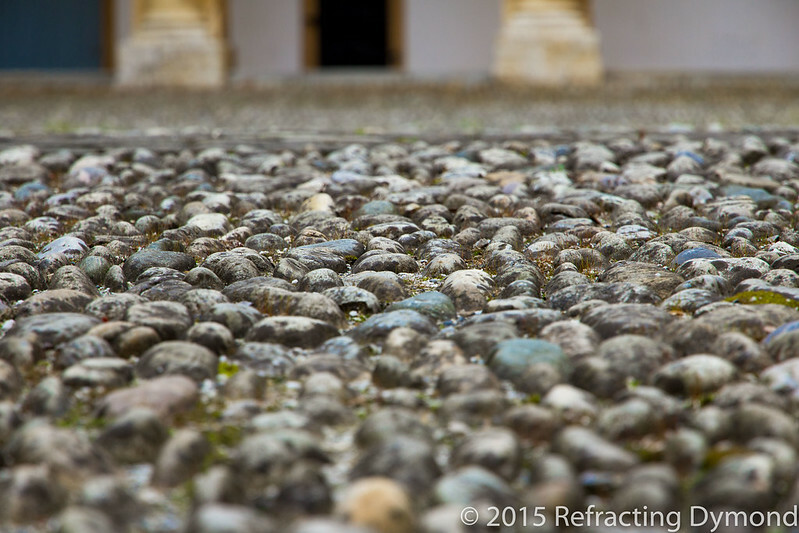 When exploring Eggenberg Palace in Graz, I noticed the interesting stone floor in the courtyard. I thought it would be need to get a closer view and maybe make a nice background. When taking a closer look, I noticed the variety of color in the stones and the very varied texture on them. I love when photography brings me to notice things I normally wouldn’t notice. Peacocks have always fascinated me since first seeing one live at the Philadelphia Zoo as a child. The size of their feathers and the luminescent colors really intrigue me, and apparently the royalty of old Europe too. I took this picture of Eggenberg Palace in Graz, Austria. 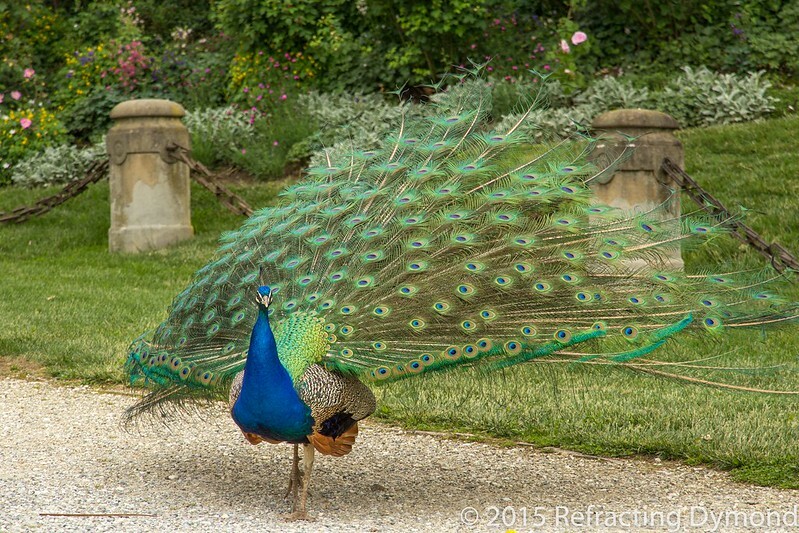 The peacocks are considered part of the garden, as they add a particular splendor. The tour guide said that peacocks make a certain noise before it rains. This one was making the noise, but I cannot recall if it actually did rain. 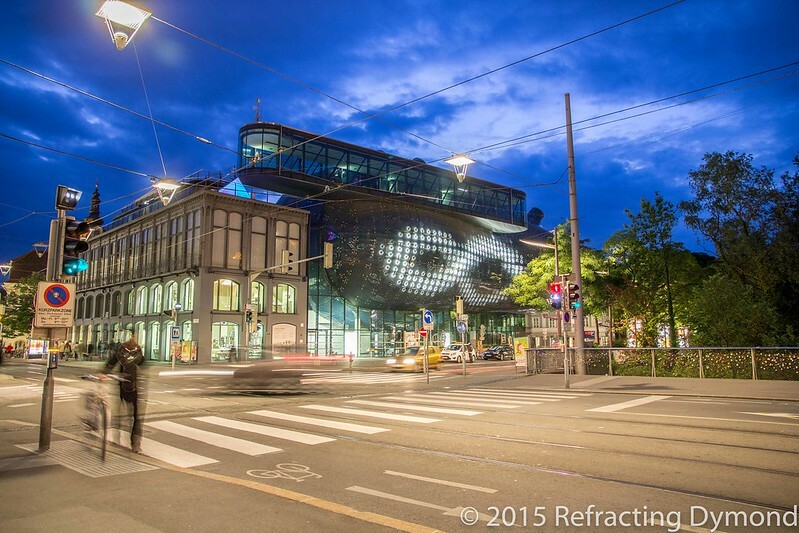 Graz, Austria is a beautiful city. One of the sights is Graz is the Schloßberg. It is a hill with an old fortress on it. From above you have a beautiful view of the city and can learn about the city’s history. The gardens are also beautiful. 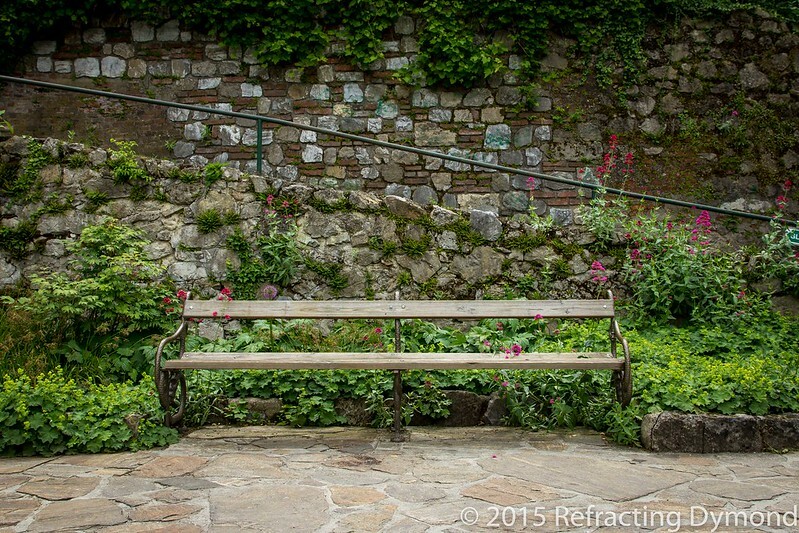 Here, this bench caught my eye. I guess it isn’t the bench in particular, but the landscaping around it. I feel it makes for an imposing picture, with the bench jumping out at you. I wonder who sat here last? Who sat here hundred of years ago? Was there even a bench?